After the structural construction phase of a house, you as an owner of your new home will need to tackle several decisions in the finishing like flooring, wall painting, and ceiling decorations. 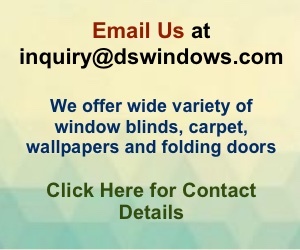 One of the last things you need to decide and before moving in the house is what window covering you want best. 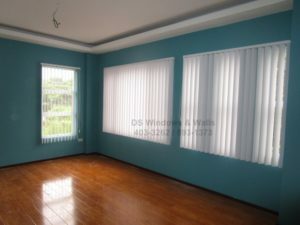 There are several window covering available in the market but you need to decide first if you want curtains and draperies vs window blinds and shades. In the old times, curtains and draperies rule the world of window covers. You’ll usually see this in old houses and even old movies if you care to notice. But in the present due to the practicality, function, and maintenance involve, most settle for blinds or shades. 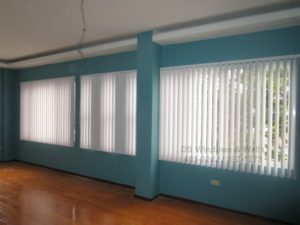 For this blog, we’ll feature a PVC vertical blinds from a customer in BF Homes Paranaque and review how it looks like installed and its functionality. This newly constructed house has blue green wall that matched perfectly the Maze White designed vertical blinds. Other colors available for the Maze design can be seen here. 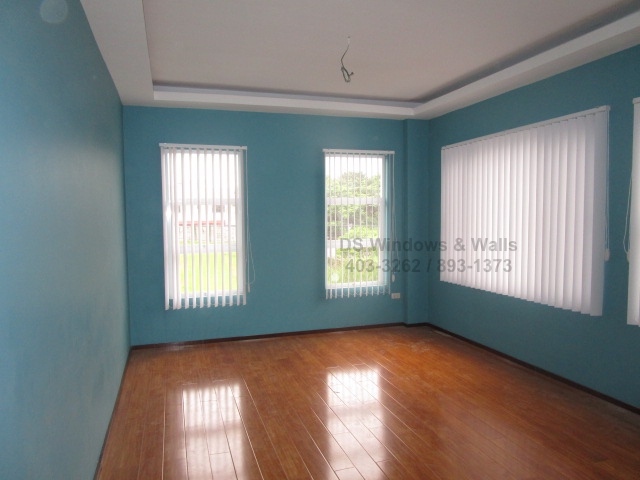 The glossy brown colored laminated wood flooring beautifully coordinated with the walls and the white blinds. The blinds, due to its vertical orientation, also adds height to the room that creates more space visually. Vertical blinds can also be seen in some commercial establishment but most of it contains plain designs. We offer designs suited for residential houses such as Brush, Floral, Maze, Richmond, Waves, and Woody embossed designs. In this other room, with a different wall color i.e. 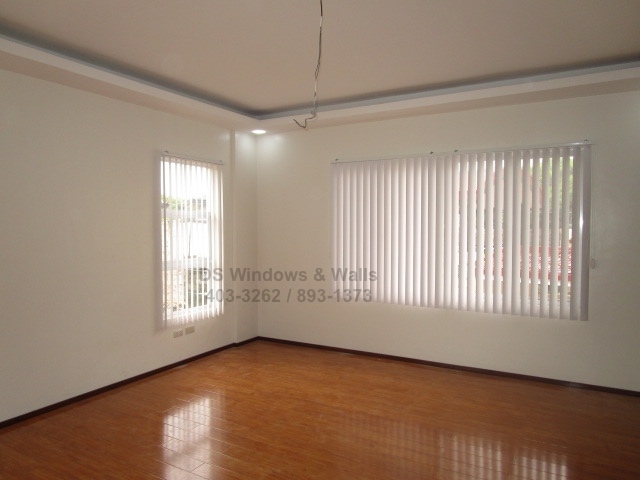 beige, the white blinds still looks simple yet beautiful. In terms of functionality, these blinds are also simple and effective. If you want to open your windows and see the open view, one can simply pull the blades cleanly in one side. Light and privacy can also be controlled by tilting the blades to the desired setting. For more information please visit our contact page and one of our mall stores.